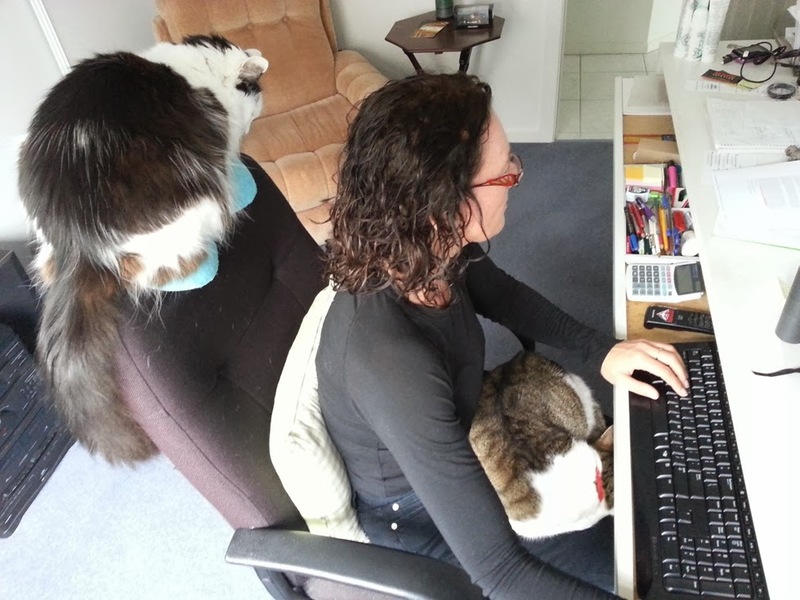 Writers' Blog: Is it really possible to work from home? But there was a time when I didn't think it was possible to work from home. I didn't think anyone could be that disciplined. I mean, there's always something else to do right? I'd heard about people that work from home. I wondered how genuine their work efforts were and how they could consider themselves productive. When I decided to become a full time writer I knew that I was going to have to work from home and wondered how good I'd be at it. Initially it was hard because I was constantly distracted. I beat myself up about it and told myself that I was right all along - it simply isn't possible to work from home. The thought of returning to mainstream 9 - 5 was so off-putting that I knew I'd have to come up with some way of staying disciplined. I found my answer in routine. I developed a routine whereby I clear all the housekeeping duties, run all my errands, and complete anything that might create a distraction, or eat away any productivity I attempted. When all of that was off my plate I could turn to my home office. I can write for hours. I can forget about the world outside my office. If it's a warm day I open my window - I have a star-jasmine right outside with the most heavenly scent and it wafts through the entire house! I lose track of time and write and write and write. My characters come to life as the villages and houses of their world manifest into such real, solid things that if I close my eyes I can see, touch and smell them. I hear my characters' voices in my head (I don't yet see this as a problem ), and I imagine their faces and feel their passions and conflicts. Is it because we fiction writers live in world of our own making that we are able to shut out the real world and lose ourselves in our fantasy world? All I know is that provided I clear my decks, that is, get all my chores and other distractions out of the way, I can most certainly, productively and enjoyably retreat from the wider world and work from home. It's not for everyone, of course. There is still a lot of discipline involved, but it's much easier if you love what you do. Every writer I know loves what he or she does - it's why we persist in spending our lives indoors, glued to our computer screens while our skins turn pasty-grey and we begin to exhibit the symptoms of vitamin D deficiency. But I wouldn't trade this life. From time to time I begin to pine for social interaction. When that happens I pick up a short term contract - usually writing technical or financial documents - and I rejoin the real world for a couple of months. Packed lunches, daily train commute, office politics - ah yes ... I remember you! But within weeks, new characters begin to show themselves, new plots and scenarios begin to bubble and churn in my imagination. I'm too distracted to read on the train, I find myself floating on a magic carpet in meetings, my flirtation with the outside world is short lived. Loving my home office, although it gets a bit crowded sometimes.